Much gratitude for tuning in! The last episode of the series, as the book comes to an end, brings you a few surprises: 1. I am narrating chapter 10 entirely; 2. Rahila will give you a brief insight into her work, as she offers me a short session, for bringing awareness over self-control techniques; 3. Insights into Rahila's future plans. And more. My guest and I would love to have a future episode, as a Q&A session, so feel free to ask us anything and we will make sure you learn your answer. You can do this by leaving us a voice message (if you listen via Anchor) or by sending us an email to impactbychoice@gmail.com. We would very much appreciate your subscription to this podcast, your sincere review on iTunes and making the word travel. You can connect to Rahila Khan via her LinkedIn profile (https://www.linkedin.com/in/rahila-khan-873900143). The book we are talking about can be purchased by accessing the following link: https://www.amazon.com/gp/aw/d/9730282447/ref=tmm_fbs_pap_title_0?ie=UTF8&qid=1556110151&sr=8-1. Much gratitude for tuning into this series and the show, as a whole! Cory Warfield is a full-time entrepreneur, mentor, strategist and public speaker. After 20 years of waiting tables, he took life into his own hands and started ShedWool, a shifts scheduling venture. On a human level, Cory Warfield is a philanthropist who enjoys seeing others grow. He is actively helping people as much as he can, through mentoring. 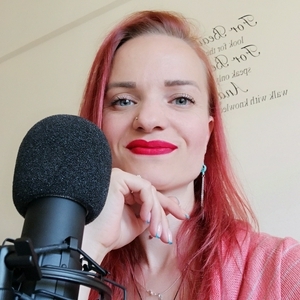 In this episode we dive deep into the law of attraction concept, but there are many other topics that you will enjoy for sure. Such as me being interviewed in my own show (again). You can contact Cory via his LinkedIn profile (https://www.linkedin.com/in/corywarfield/), on Facebook (https://www.facebook.com/corythewineguy), on Instagram (https://www.instagram.com/corygram1/) or by visiting his website (https://shedwool.com). My book (which Cory brings up) can be purchased from the following link: https://www.amazon.com/Man-Moon-Casquette-Andrada-Anitei-ebook/dp/B07L1293RT/ref=sr_1_1?crid=17W6A79JAJUDK&keywords=the+man%2C+the+moon+and+the+casquette&qid=1555510557&s=gateway&sprefix=the+man%2C+the+moon%2Caps%2C235&sr=8-1. If you enjoy this show and this episode, you would make us very happy to hit that subscribe button, leave us a review on iTunes and spread the word. 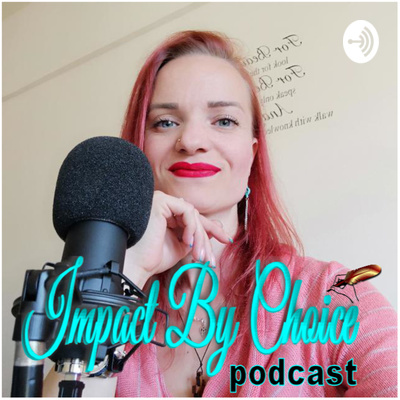 Also, feedback is wholeheartedly welcome, so feel free to leave us a voice message (if you listen via Anchor app) or send us an email to impactbychoice@gmail.com. Thanks for tuning in!